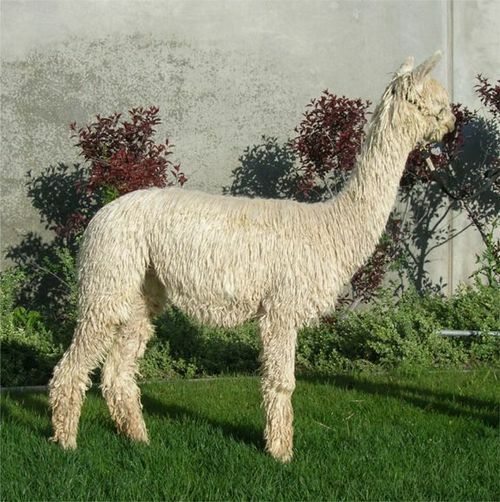 This Accoyo Gold daughter is a beutiful and lustrous 3/4 Accoyo full Peruvian Suri alpaca. 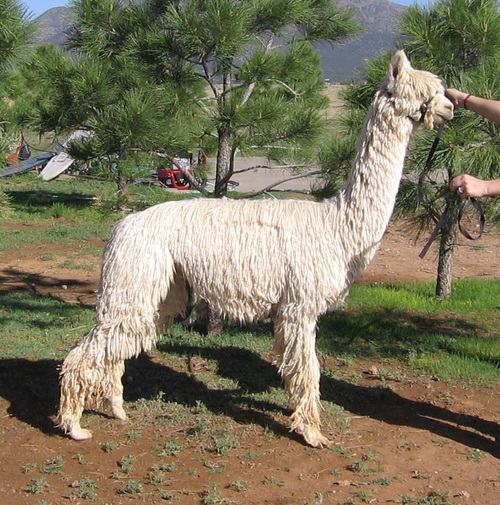 Luster and density describe Penelope's fleece. Windrider's El Capitan has excellant presence and a wonderful personality, very typical of his sire. 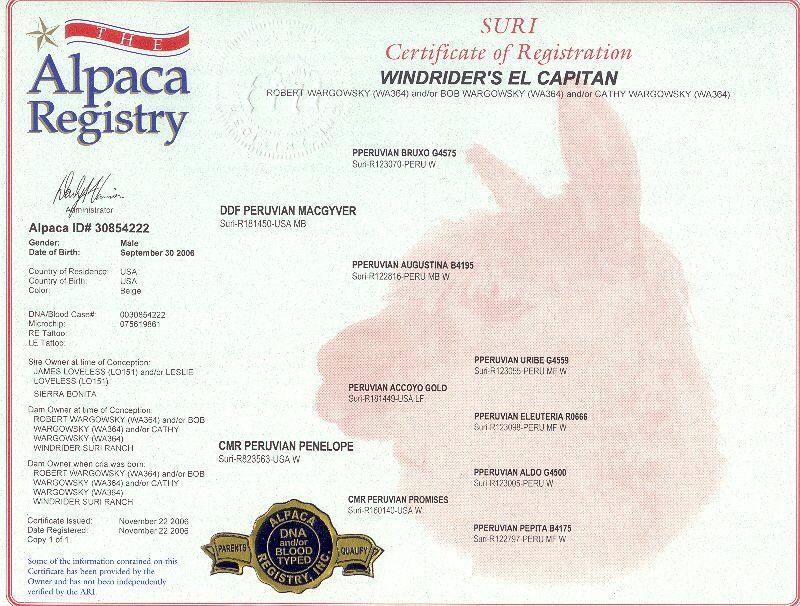 El Capitan's sire, DDF Peruvian Macgyver, is a 7-time Futurity Herdsire of the year. 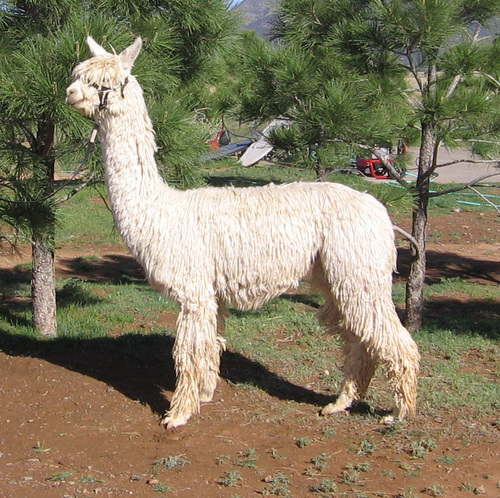 Accoyo Gold is his maternal grandsire. This 5/8 Accoyo, Uribe-Bruxo cross is a great example of what we want in our suris! Luster, density, coverage, locks, fineness, presence and conformation.